Are you a good student? Off course, we shall not think of that the heavier the backpack is, the better achievement students can get. But, If you have this backpack, it is not difficult to became a good student for the bakcpack has multy functions like a laptop. This backpack is named Androcell backpack which is designed by Karan Singh Gandhi. With an Androcell backpack, one can exchange, store, create, and view digital data and perform several basic tasks. A steady development of technology ensures a brief lifecycle for electronic products. 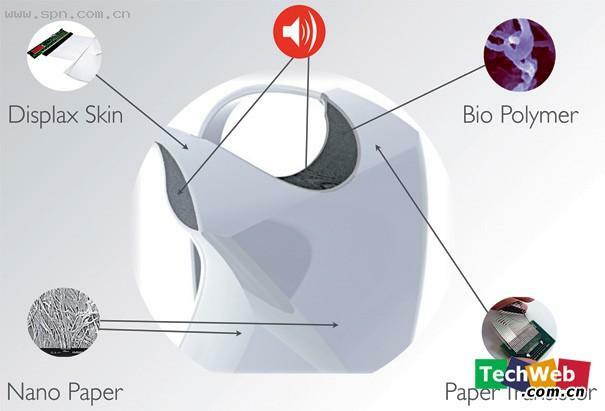 This is why Androcell is a “Cradle to Cradle” design. The materials used are innovative and organic. At the end of its lifecycle, Androcell leaves behind technical nutrients and biodegradable waste. It is targeted at young adults who have a knack for gadgets and enjoy music with their travels. The design itself displays a bold personality. The “X” shaped brace derives its form from its function, however it gives the design a distinctive appearance. 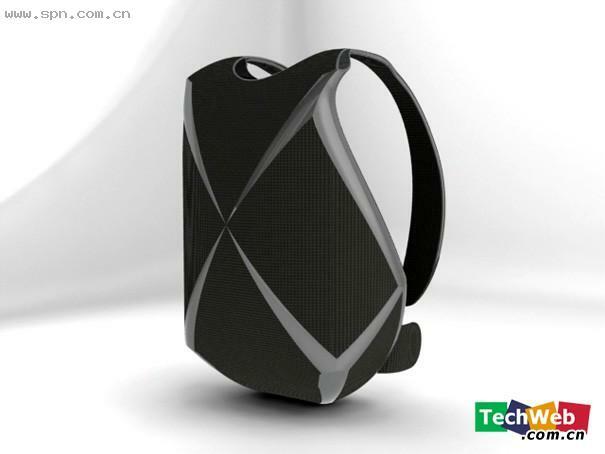 The backpack features an interactive E-paper display that allows an individual look for every bag. The ribbed brace on the backpack has two major functions: first, it adds strength and durability to the bag; secondly, it emits light for safety at night (for example, when worn by a cyclist). The user can determine the light’s colour. The glowing brace and the E-paper display bring the bag to life. Self-expression is limited only by one’s imagination. The shoulder straps also make use of the interactive E-paper display. 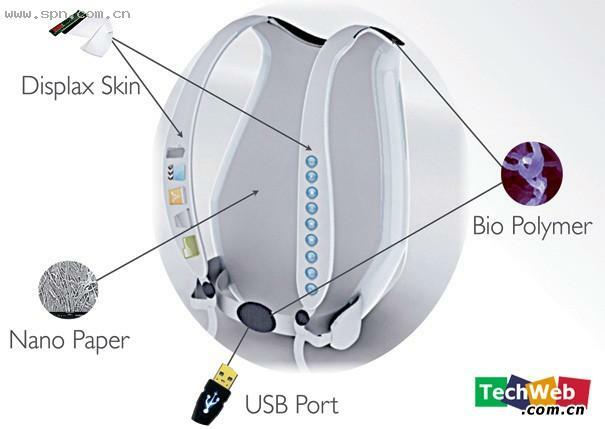 The straps feature a touch interface linked to the items available on the screen. From here, one can browse, modify, and exchange files. One can assign hot keys, a remote, or images and videos to the display on the front of the bag-pack. One can also choose to share and transfer information by plugging a standard USB device into the clip of the waistband. The integrated speaker system allows one to enjoy music while outdoors. The shoulder strap also has a quick-share feature that allows the sharing of small amounts of data like name cards with other Androcell backpacks. 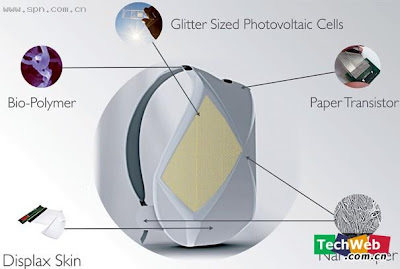 When exposed to sunlight, tiny glitter-sized photovoltaic cells harness solar energy to power the device sustainably.